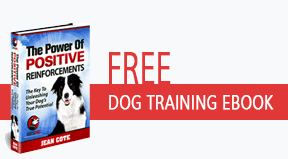 →What’s your greatest dog training moment? What’s your greatest dog training moment? The reason why I created this website and the reason why I do what I do in the dog training world, is because I want dogs to live better and happier lives. And I wholeheartedly believe that positive reinforcement training is the best way to achieve this. Unfortunately, not everybody agrees. 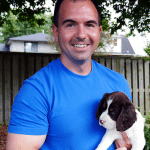 So I thought, what if we have a page on this site that is full of dog training success stories. Stories about how our dog’s lives transformed, how they happier and better behaved as a result of training this way? For example, when I first started training my dogs to do tricks, I thought my dogs were only doing it because I had a treat in my hand. But then I realized how much my dogs LOVED the training, how their tails were wagging in excitement the moment they saw me with a clicker or preparing training treats. And how it brought me closer to my dogs than I ever could have imagined. I remember training my dog Chase to put her head on my lap while watching TV one day, and she was doing it for praise. I thought it was the coolest thing! Would you mind sharing with me your story about how life changed as a result of training your dog with positive reinforcements? You can talk about a special moment, a funny story or anything you want. I am disabled and in a wheelchair. I wish to tell you about my boy Thunder (Thunder & Lightning were the two I had before Rolex & Bulova who I train now)- my “Watch” dogs! Thunder was unique as he started training from the minute I got him home. He was ALWAYS interested in everything. He was taught all the basics from sit, stay to several other NEEDED things, like retrieve. One day I was in my chair and my wife, Betty, was going through some business cards and throwing them into the trash can. Lightening was curious as to what I was doing and decided to investigate. In doing so, he knocked over the trash can, spilling all the cards which had just been thrown into it. I then proceeded to struggle to pick them up and place them back into the trash. Meanwhile, Thunder was laying next to the wall, taking this all in. All of a sudden, he got up and came over where I was at, and took over. He proceeded to pick up the cards one at a time and DROP them back into the waste basket! He was NEVER taught this, he picked it up on his own! Another time, I was in the bedroom doing a very simple transfer from the edge of the bed to my wheelchair. I didn’t quite make it over to the chair and fell to the floor. I had at the time, a prosthetic on my right leg, That is when I heard it as I was going down to the floor. It sounded as if someone took a 2 X 4 and smacked the dresser. The sound brought both dogs into the room. As I sat there, I realized the noise when I went down was that of my leg breaking. Both dogs heard it, and as I sat there I KNEW what had happened! Out of concern both dogs put a paw on each of my shoulders, which knocked me further against the bed! Now what I do I do? I can’t stand up, I am on the floor, nobodies home and I need to get up on the bed! I struggled hard, not bearing any weight on an already broken leg to get myself up onto the bed! Immediately Thunder was there and put his paw on my lap. I then told him “phone” get me the phone. We had a phone on the dresser, he reached over got on the dresser with his front paws, got the phone and dropped it into my lap! I was able to call my wife at work and get some help and get too the hospital. Thunder, Lightning and I,. always had a very special relationship! Thunder suffered from Pannus in his eyes and had too take drops for it – but every day he sat there and tipped his head back for me too put in the drops! They knew, they understood – they were my Storm Team! I’m a dog trainer in New York who also does pro bono work at a local shelter. In addition to assisting with behavior evals, we work with some of the dogs to teach basic behaviors in an attempt to increase their potential for adoption. Every once in awhile a dog comes along that tugs at your heart… This was Rondo, who looked like a Bassett/ Staffie mix. He was very food motivated and wanted only to please me. While going through the routine of teaching the down cue, he would start to roll over. So we marked this, and cued with the “bang” in conjunction with a hand motion that simulated firing a pistol. Within less than 5 min he had this trick down pat. The more we laughed and of course rewarded, the more he was willing to learn! We’ll our guy Rondo finally got his “freedom ride” and found his forever person. The point, positive reinforcements can make even the most problem dogs learn, while the antiquated ideas of punishment, dominant training just make things worse. Why don’t people get that?? This is about my dog Thunder. Both Lightening & Thunder I trained from puppies as my Assistant Dogs. I have Two more Shepherds which I am currently training as the same! Their names are Rolex & Bulova….my ‘watch’ dogs! More can be seen of all 4 on my FB page Grant Shadowjack Archibald! I was going to write about my dogs training adventures but I read your story first. I will call it, “Grant’s Story” and have to say that this story got my heart. It was so inspiring what a great relationship you have with your dogs. I also love the names of all your dogs from Thunder & Lighting your storm team, to Rolex & Bulova your watch dogs…LOL! You should write a book about your life and share it with the world! Thank you so very much for your kind comments. I have thought about doing that, as I love to write! I have had a very adventurous life – before this chair! I HAVE written a few articles for the disabled community – all are humorous! I try and find the “funny” in all that I do, as I absolutely LOVE to make people laugh! My dogs are German Shepherds and they have a personality all their own and are so entertaining! 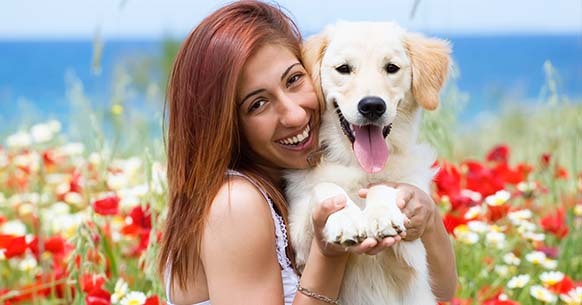 I have to have, not a good relationship with my dogs – but rather a GREAT relationship with them! For a very simple reason – they just may have to save my life! Be of good cheer! My proudest moment is when I taught my dog Bruce “speak”. He wasn’t getting it at first but I knew he would. And the moment it finally clicked in his mind, I could see it. And I could tell he was excited too. Positive reinforcement training has changed my Sammy and me a lot. My Sammy, a GSD had behavior problems before the walk in harmony program. Also, as a result of training with her using positive reinforcement, I feel she learns faster. Whenever I teach her a new trick, she picks it up right away. It is very true that a stronger bond forms as well. I do get judged sometimes by people that don’t understand. They say things like, “she is only doing it for the treats.” I try to explain that eventually she won’t need them, but it’s hard for some people to understand. When I started training my first dog, I didn’t want to give treats , but the instructors told me it would be better to treat to learn. Not so. Positive reinforcement is the most gratifying way to train my dogs. I have lots of moments that are great, call me simple minded , but when my dogs get it by positive reinforcement , I am so excited! They remember with the same excitement , wagging their tails and smiles on their faces. My recent “greatest moment ” was training my neighbors dog to spin. Bella, the little pug , has never been trained by her owner. She is 5 years old.. It took me a few days breaking down the steps, when she got it ….. I got so excited . Now she wags her tail when I say “spin” ……and she spins! One of my favorite dog training moments was teaching my little Border Terrier named Girliegirl to stand pretty and pray! I had a great moment with positive reinforcement training just today. My 7 month old French Spaniel pup is high energy and easily distracted. Training her has been quite the challenge! Most mornings on our walks we cross paths with my neighbour as she walks her 3 Shi Tzu’s. My Zoe turns into a fish on a line, jumping and flopping around trying to get to them to play, even when I’m on the opposite side of the street. They want nothing to do with her antics. There has little else I can do to get her attention besides drag her on by. Treats, toys, etc have nothing on these dogs for her attention. We’ve been working hard on focus and staying in control of herself using Jean’s Walk in Harmony program. Today, using positive reinforcement, with treats at every step, she walked by them at heel position without any fuss at all. Since I have had trouble walking due a neurological problem, I have been working more with Dakota on “tricks”, some of which I learned from your webinar, which was so much fun for both of us. I had to teach this dog to retrieve a ball, which I was able to after participating in your webinar. Anyway, I was teaching Dakota a series of the tricks from your webinar and would usually end with a, “lie down and roll over”. So, I proudly took Dakota to visit my elderly mother one day and asked if she wanted to see Dakota’s tricks. When I got out the tiny treats and asked Dakota to come, she came running, then laid down and rolled over. I told Dakota that she needed to “walk, weave,” etc., but she kept flopping to the floor and rolling over looking very proud of herself, like “Ta-Da, the end”! It was really very funny because Dakota is a chunky AmStaff and isn’t exactly graceful when she flops and rolls. Anyway, my mom and I had some really good belly laughs that day! And I was proud of Dakota for entertaining my mom and trying to please me too! My dog Hubble got hit by a car before we rescued him. He was badly hurt, and had to have extensive reconstructive surgery. His jaw was actually wired for a while. It is understandable that he hates fast moving or loud cars now, and considering we live in a city, some traffic is inevitable. We bought a house last year, it has a small fenced-in yard. I am always paranoid the gate may be left open by someone, and Hubble might run out onto a street and get hit by a car again. It is my worst nightmare! So I trained him to wait for permission to exit the house and go into the yard, which gives me the chance to make sure that the gates are shut. When the house door is open, and Hubble wants to go out, he now sits and waits for my “OK” and a gesture to run out. The other day there was a squirrel sitting in the yard when I opened the house door. Hubble could see it! He LOVE squirrels – dahhh, he’s a dog, of course he loves squirrels!! Well, he didn’t take after it. He sat and waited for my permission.